High quality lubricants reduce wear and heat between constantly moving and contacting surfaces inside precision-engineered equipment. 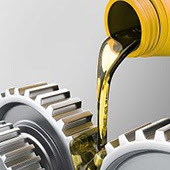 Today’s lubricants are formulated far beyond simple petroleum base oils through a complex range of specialty organometallic additives, and they considerably enhance the performance and lifespan of the equipment. High-end energy dispersive X-ray fluorescence (EDXRF) analysis is an established, easy-to-run and cost effective technique for lubricant quality control applications, giving simultaneous analysis of many elements ranging from low to high concentrations and requiring almost no sample preparation. This study focuses on analyzing common lubricant additive components, i.e. phosphorous (P), calcium (Ca), zinc (Zn) and barium (Ba) in an air atmosphere. See how EDXRF helps you achieve required detection limits.